So what do you want to do when you grow up Susan? I want to write I would say with a big smile on my face. It’s a question that I could answer with confidence from the time I was about 5 years old. I wasn’t asked often, but my response was always the same. I don’t remember being asked why either or I would have said I wanted to be like Enid Blyton my childhood hero, who wrote books and made me happy – I wanted to make people happy too! In fact, rather than ask me why, I was told you don’t write for a living, you do it as a hobby. I was then told to think of an alternative career – sadly no one helped me by tapping into my motivations such as my motivation to make people happy. The result was that my school subjects were simply based on what I enjoyed and I went on to a study Politics in University because it seemed interesting and I had the right subject combination for the course. Qualifying, I worked briefly as Office Manager for my brother’s firm and then went on to do a number of Personal Assistant (PA) jobs and I found myself working as PA for the Head of Personnel for a London Council. It meant that I sat in on a number of senior level meetings and had various discussions with the Head of Personnel – ultimately deceiding it was an area that I wanted to work in. I found myself working in a Social Housing organisation as an Administrator dealing with queries from Senior Management, writing HR Policies and designing and setting up an HR System from scratch. When I was ready to start a Masters in Human Resources, I asked for some support from the organisation, however, they thought I didn’t meet the criteria as I wasn’t senior enough. I looked around me and saw that there was no room for progression within the environment that I was in and so I left. Fortunately I quickly became know as an HR professional with an expertise in HR Systems, Processes, Strategy and Change and worked on numerous HR projects in the private, public and voluntary sector. At the same time, I’ve always had a keen interest in people – when I was 12, I found myself reflecting on the fact that if I had everything I wanted for me, but was surrounded by people with lack and need I couldn’t be fully satisfied. If you drive through Milton Keynes it is very easy to find yourself thinking that everyone is doing well economically. However through the course I found out there were people struggling. They lived in what people referred to as the worst places to live in the town. I however found that these were places where there were issues – sometimes due to the individuals, but more often than not due to external circumstances. Most of all I discovered a deep sense of community – the type that we feel nostalgic about and say no longer exist. I went home and found that I couldn’t sleep thinking about it – I knew I had to do something. With the objective of creating awareness about the set up of a new town and the different people within it’s make up, I found myself writing my first book – Touching The Heart of Milton Keynes: A Social perspective (now in it’s second edition) I ‘ve since written a second book – Consequences: Diverse to Mosaic Britain which looks at the diversity of Britain and issues of inclusion and disengagement within a diverse society with the aim of starting a discussion/debate on how we all jointly move forward from diverse to mosaic societies that we can all happily live together in. Through a journey of exploration and discovery, I’ve found myself back with my childhood dream of writing books. Not children’s books, but books that I hope will ultimately create awareness at different levels in society, impacting on both policy and the way that we as individuals and groups view both civil society and the work place. Recognising that my interesting in writing stems from my care and concern for people, over recent years, I’ve also focused my HR work on third sector organisations that are looking to make a difference to the lives of everyday people – most especially children, young people and disadvantaged groups. It’s an ongoing journey for me with a number of project ideas stemming from the things that I learn along the way. I’m acutely aware that as I progress I have a growing amount of influence and I’m constantly influenced by others – directly or indirectly along the way. The interesting thing for me is that whilst I have been directly influenced by people such as my mum, by Enid Blyton, my women who have women who have managed and nurtured me and even a mentor or two along the way – just as important are those that I have observed from a distance. As a friend recently when you think that nobody is watching, they are. As women we are able to influence and support each other by taking the time to spend an hour to talk, to have lunch or event mentor or coach other ladies. I believe that we are, however, most influential when we have the courage to follow our hearts, our passions and dreams and support other people along the way. When we share or show our journey to others – creating an awareness that it is not always easy – that we’ve been through tough times, but have preserved and overcome – that as such make our achievements and successes seem more human and attainable to others. 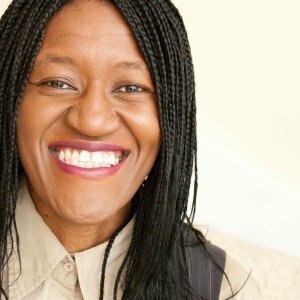 Susan Popoola is the Managing Director of Conning Towers Ltd, a HR firm focused on Talent Management and HR Transformation for the Third Sector. She is also the published author of Touching The Heart of Milton Keynes: A Social Perspective and Consequences: Diverse to Mosaic Britain. What a great story Susan, you made your ambition come true, even if it is not quite in the style of Enid Blyton. I love the idea too that the most effective way to influence is by being true to ourselves. I have always found that the people who are most compelling are those who love what they are doing and communicate that, through their passions.